Most of the time Java Web Developers are facing the problem that javax.servlet.http.HttpServlet was not found in Java Build Path while using the Eclipse IDE. This tutorial will explain how to resolve this problem. When you have created a new project in Eclipse IDE then servlet jars are not associated with your project or you can say that your project is not mapped with Tomcat server. This is the only reason for facing this error while creating the JSP pages. Step- 1: Go to your project and hit the Right Click. 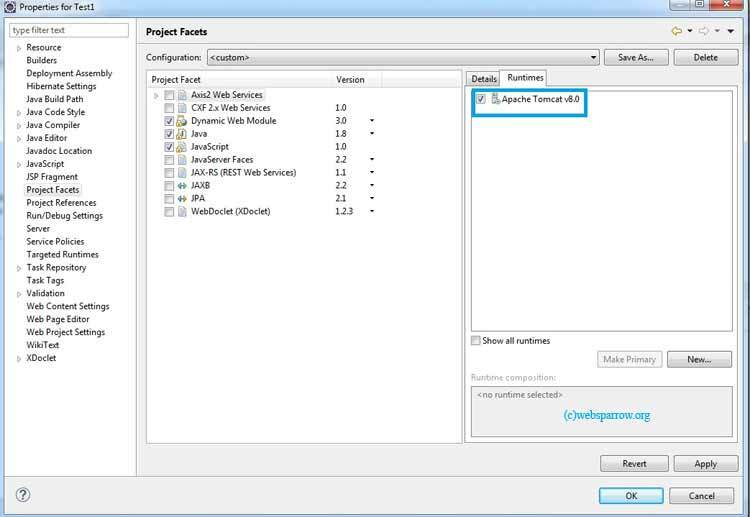 Step- 3: When you clicked on the Configure Build Path… a popup window will open. On the left side, there is a bunch of lists. In that list find the Project Facets click on it. 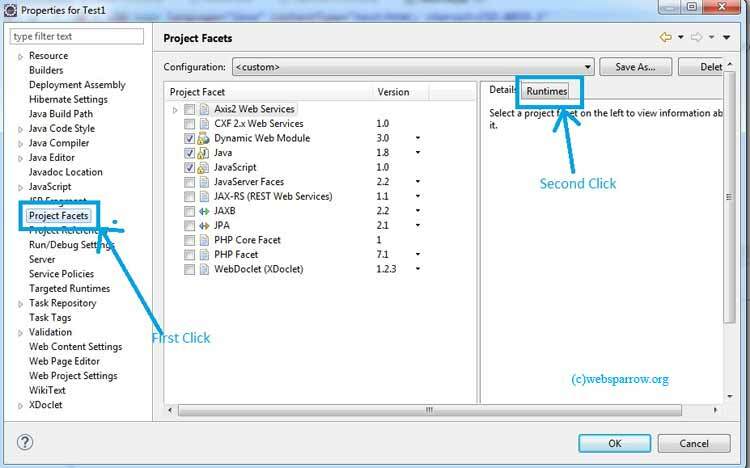 Step- 4: After clicking on Project Facets, there are a tab Runtimes on the right side click on it.